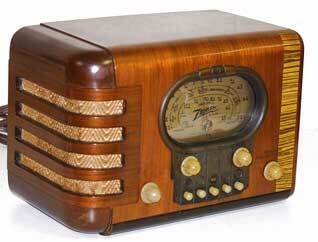 Sit down, close your eyes and let your mind form the images as you relive the golden age of radio programs. Each week we'll feature a different and exciting program in MP3 format. Just click on the radio image below to be transported back in time. Given the popularity of the American Hardboiled Detectives that began appearing in literature of the 1920s, it was inevitable that British readers would find their own two-fisted adventurer. Created by H. C. McNeile under the pseudonym "Sapper", Bulldog Drummond had been a wealthy officer serving his Majesty during WWI. After his experiences in the trenches, he found civilian life in London more than a little boring. His answer is to take up a life of crime fighting. Drummond came along after Sherlock Holmes and Nyland-Smith of the Fu Manchu stories, but retains many of the aspects of the British upper-crust. "Drummond... has the appearance of an English gentleman: a man who fights hard, plays hard and lives clean..." Some of this attitude is seen in the modern incarnation of Ian Fleming's James Bond; in fact Fleming acknowledged the influence of Bulldog Drummond in creating his spy. Bulldog Drummond was in fact based largely on the exploits of NcNeile's friend Gerard Fairlie, who took up writing the Drummond stories after McNeile's death. The character was a natural adaptation to the silver screen, appearing in nearly two dozen films, and played twice by Ronald Colman. Beginning in 1941, the Mutual Network moved the no-nonsense crime fighter to the States, apparently basing him in New York. He is still very British, and accompanied by his "Gentleman's Gentleman" Denny. Drummond and Denny regularly mix it up with underworld elements, but the writers never forget that WWII is never far from the audience's minds, even including atomic issues in some of the post war episodes. Bulldog Drummond maybe a foreigner, but in his way he is every bit as much an American as another great Mutual foreigner, Superman. And just as much in the way of bad guys!